Happy Easter everyone! I hope that y'all have a blessed day with your family. 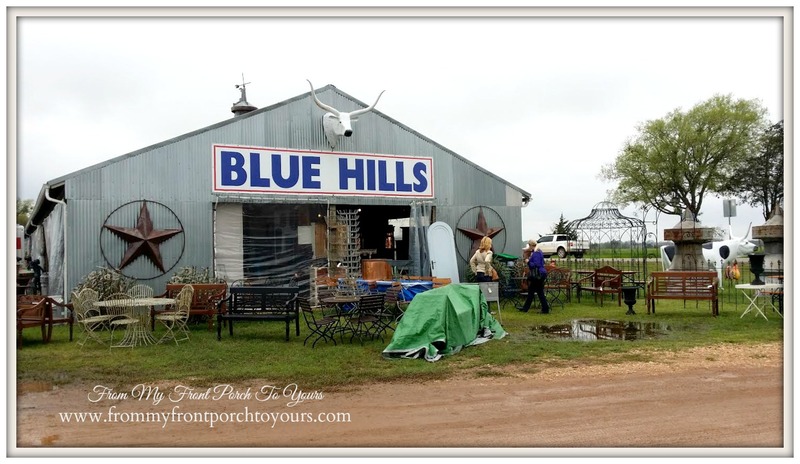 I mentioned that last weekend we almost made it up to Round Top so I thought that I would re-share my trip from 3 years ago that includes tips for those who are planning on going and have never been. 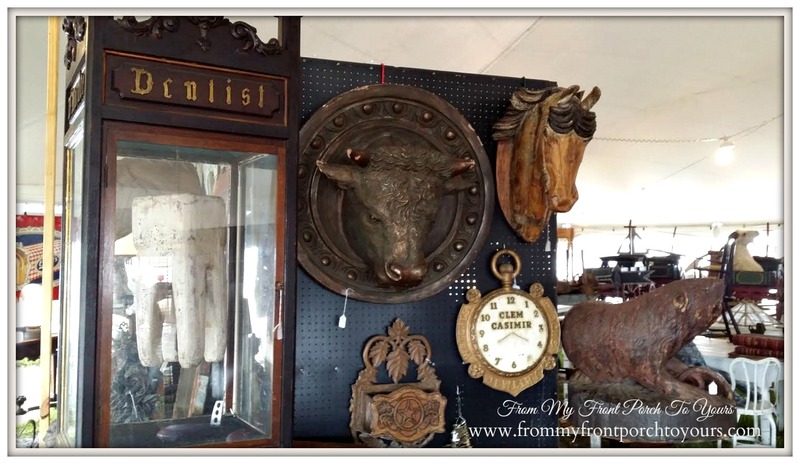 I am hoping to drive up one day this week to seek out a few treasures. 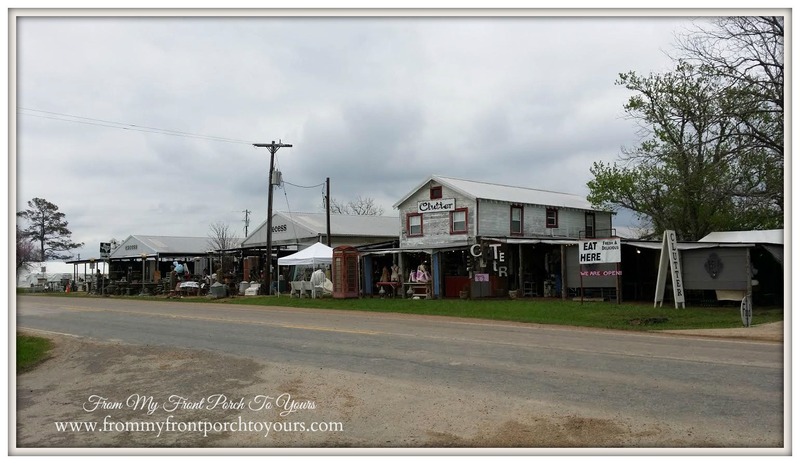 Round Top, Texas is a quaint little town north west of Houston by about two hours. 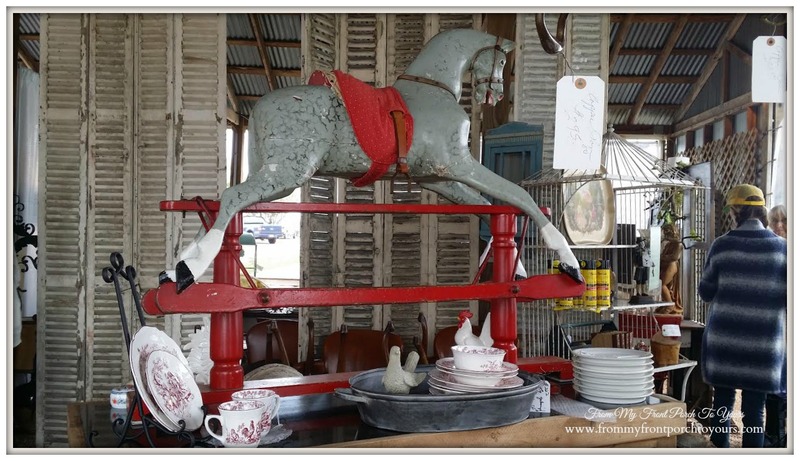 Twice a year it comes to life along with all the other sleepy little towns surrounding it for Antique Week. 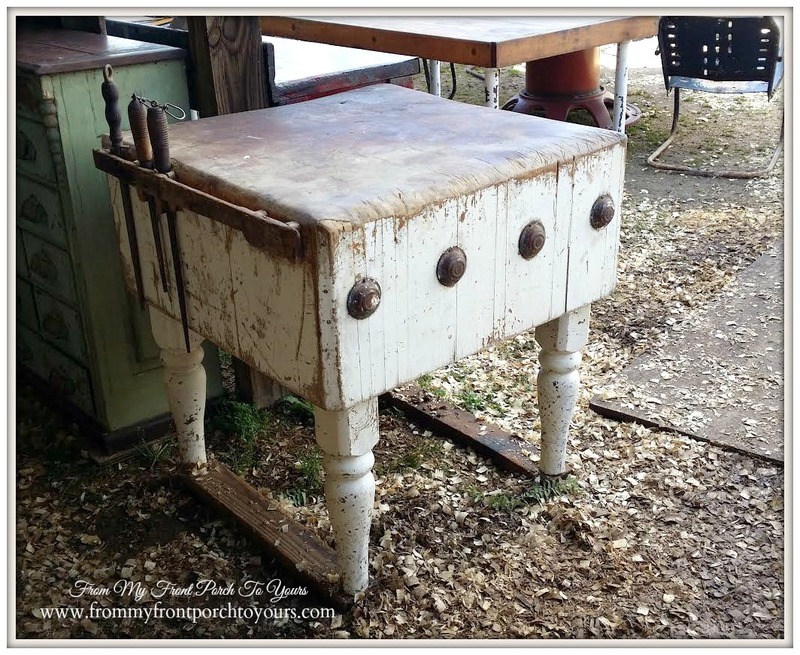 Vendors from all across the country come to set up and many of them show up two weeks before the actual Round Top Antique Weekend. 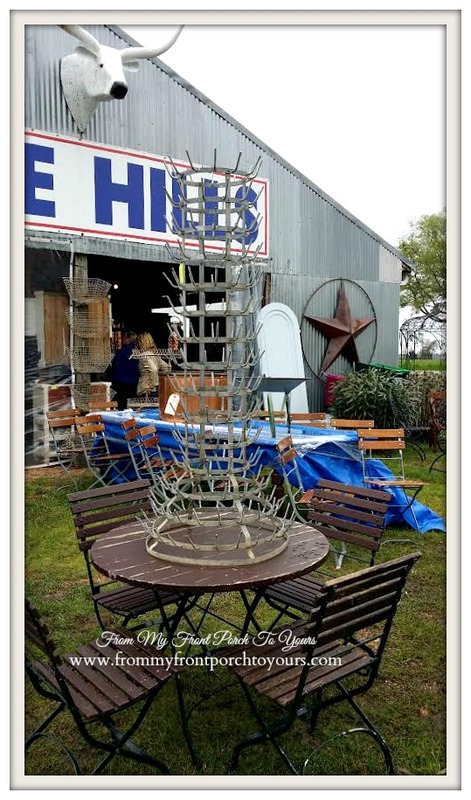 You will find treasures of all kinds like this huge bottle drying rack. 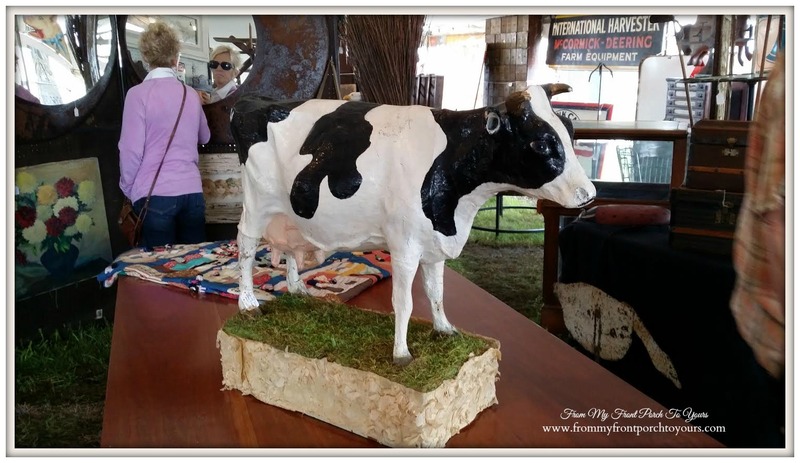 Vendors sell not only antiques but also new items as well like this cow art work. 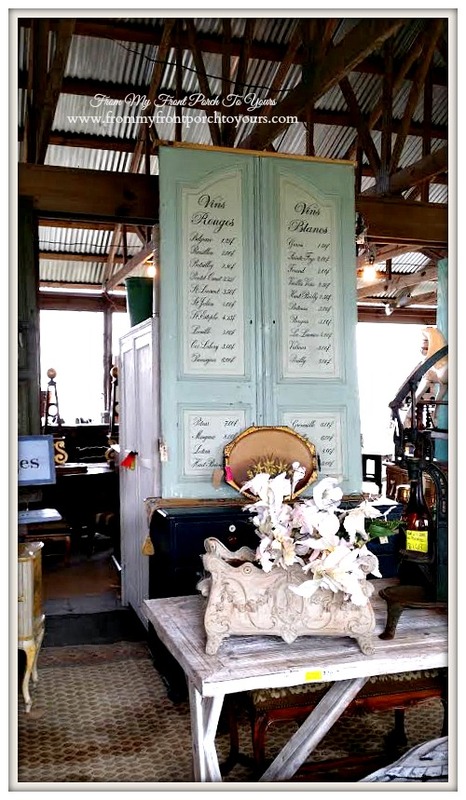 You will find one of kind pieces like these tall script vintage doors. Looking around is a lot of fun but it can also be overwhelming at times. My most favorite booth to shop is the French Laundry Home booth at Blue Hills. I HIGHLY suggest you stop by and visit these ladies. French Laundry Home carries the most beautiful bedding and linens. I will let you in on a little secret- You will find the best deals here on French Laundry! 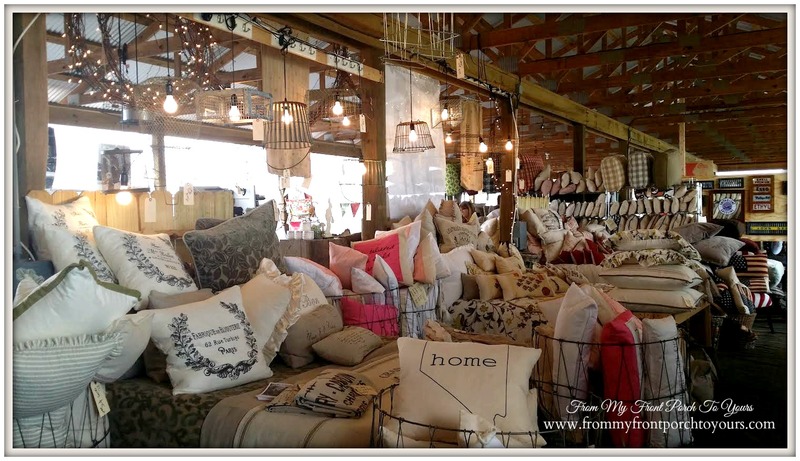 For miles and miles there are so many places you can stop and shop. 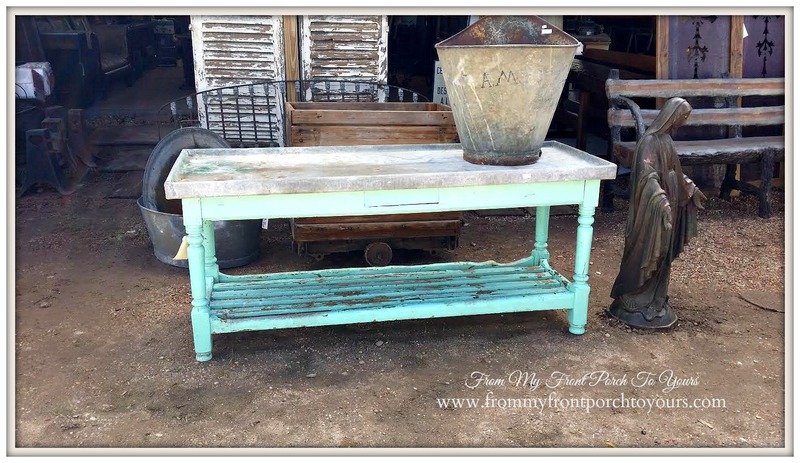 This table was divine and would be perfect as a kitchen island. You will find anything and everything you could ever imagine when visiting even a paper mache bull. 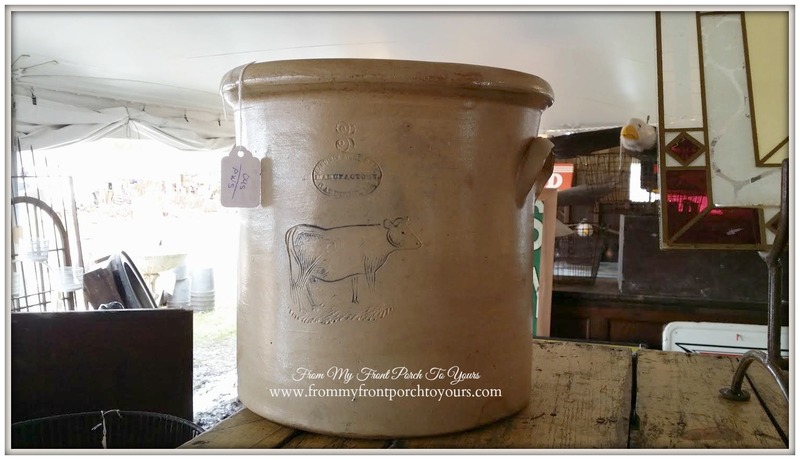 What's more perfect than a cow crock!? It is quite the experience to walk around and see everything. 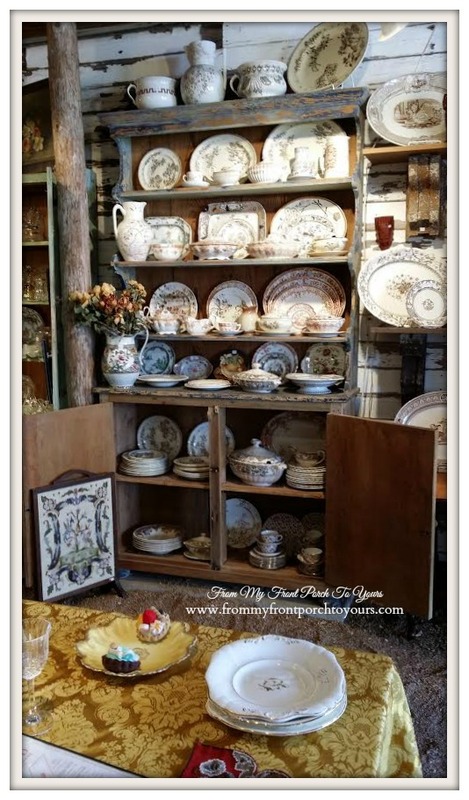 Here are some tips that I think will come in handy if you are thinking of making a trip to Round Top. 1. Before you even go make a plan of attack. Look online to see what shows are open and when. You can view a listing of most of the shows here. Decide when you want to go. You will NOT be able to see everything in just one day so you may need to plan multiple DAY trips. 2. Make a list of things you are on the hunt for. Take measurements before you go if you are needing things such as old doors,windows or pieces of furniture. Making a list also helps to keep you from being overwhelmed when looking. 3.Check the weather and if it has been raining at all even a week out make sure you wear rain boots! It will be EXTREMELY muddy and you will not be able to get into a lot of the booths because of the mud. If no rain boots tennis shoes are a must. Your feet will be ready to fall off by the end of the day! 4. It can get hot so pack some bottled water and sunscreen. 5. Bring a bag or small cart to put your purchases in. 6. Make sure you bring cash! Some vendors will take debit/credit cards but wifi is spotty and you may find yourself out of luck if you do not have cash on hand. Also vendors are more willing to make you a deal if you have cash because they do not have to pay the credit card processing fees. 7. Keep in mind when offering a lower price. Make sure it is reasonable. Do not waste the vendors or your time low balling. They spend so much time setting up for the event and most camp out there for the two weeks without a lot of the comforts of home. You will find the best deals to be made will be on the last day of the show. Vendors will not want to pack up their stuff and haul it back home so if you are wanting steals that will be the time to head up there. 8. Bring your patience!! The closer you get to the actual Antique Weekend the busier these places get. Traffic a lot of times is at a stand still and parking hard to find. Some places you will have to pay to park. 9. 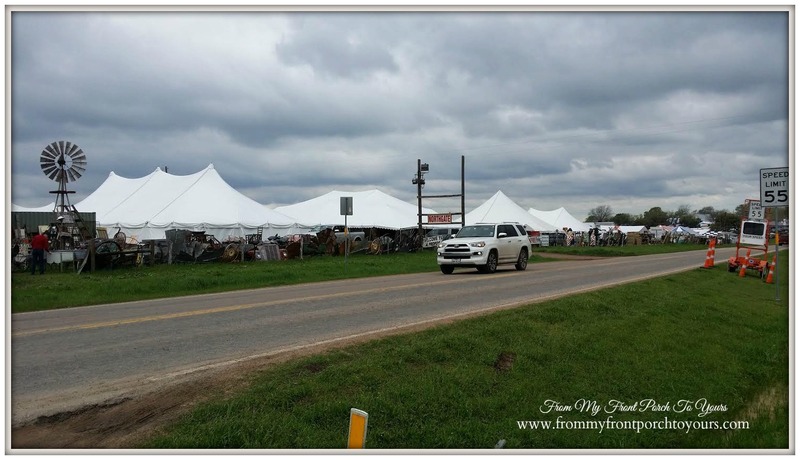 Speaking of paying to park while a lot of the shows are free to get into there are some that you have to pay to see such as Marburger Farm so keep that in mind when you are getting cash to bring. 10. I HIGHLY recommend that you do not bring children. There will be so many people there depending on when you go. It is very difficult to push strollers thru the fields and impossible if it is muddy. 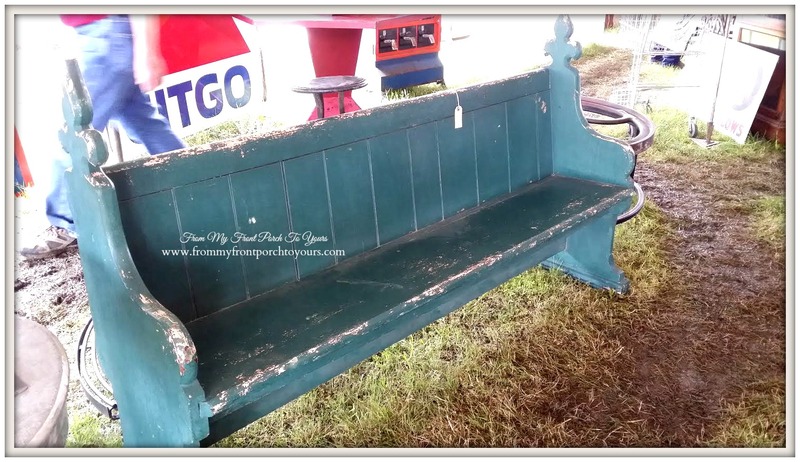 There are not any easy restrooms or places to to sit and rest for the little ones. 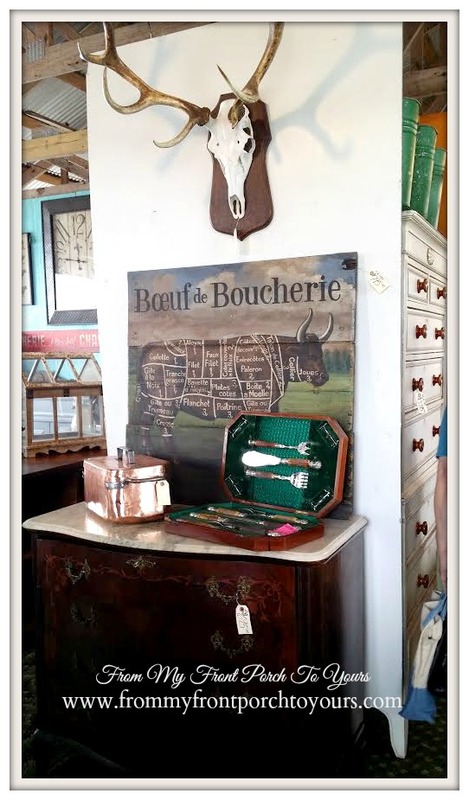 My boys are 11 and 9 and though they enjoy antiquing with me from time to time they would have hated going to Round Top and thus in return made the experience unbearable. Great tips! I have a son that lives in College Station and we have talked about visiting him and heading to Round Top some time. 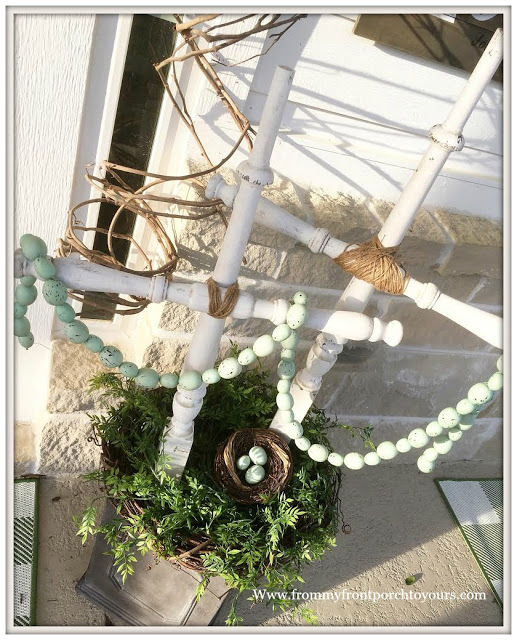 This is a wonderful informative post, Pamela! I'm way up north so chances are I will not be able to go. Maybe some day . . . I can dream. It was fun reading and seeing your photos though! 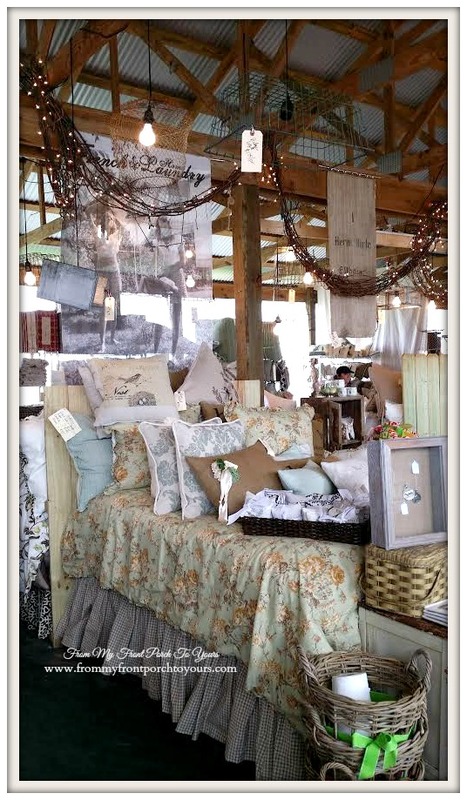 Thank you for these great tips on Round Top! This is on my bucket list Pamela. Your tips are great. Thank you for sharing. So much fun things to see. 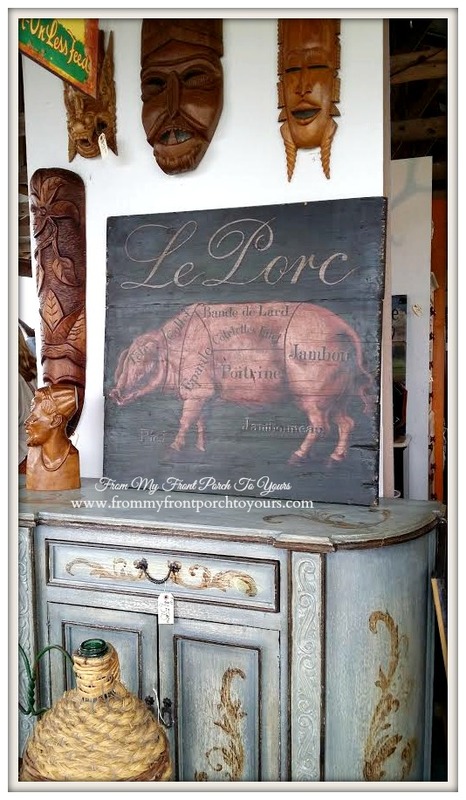 I had a little taste of Round Top back in February and it was indeed muddy!....Love French Laundry Home....their store/shop is about 50 minutes from me...I need to go there more often! Have a great week Pamela!